If you’ve been looking for high-quality auto mechanics to service your Infiniti around the Denver Tech Center area, your search is over. Antero Automotive & Truck Services is your best choice for expert auto repair. We have an excellent team here, well qualified to take care of your Infiniti and give you the VIP treatment you deserve. 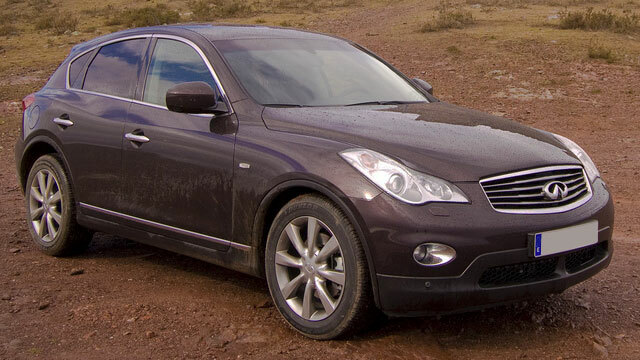 For quality and value, nothing beats an Infiniti. At one time there were trade-offs in what you’d pay versus what you would receive, but these days an Infiniti is a really solid luxury car. Despite its dependability and good value, an Infiniti still needs the touch of an expert auto repair technician to ensure it maintains that great value, and that’s where the skills of Antero Automotive & Truck Services’ technicians come in. We’ve seen just about everything there is to see with an Infinity, and we can fix anything you throw our way. Here at Antero Automotive & Truck Services, we want you to have a stress-free experience so we have not just a shuttle service, but also an Uber in the afternoon, and then we five loaner cars in addition. For your peace of mind, we have a nationwide Napa 3-year/36,000-mile warranty. In addition, we’re AAA approved, we’re an ASE Blue Seal Shop, and Repair Pals certified. Also, we do digital inspections with pictures of what is happening with your Infiniti and will prioritize the repairs. You will get a customized plan that works for you. "We take our personal and company vehicles to Antero and have for 8 years or so. Honest, dependable, fair pricing...What more could you want? Always pleasant to deal with too. I refer them to friends and family which can be risky. Antero has never made me regret referring them." -- Bill R.
You’ve made the decision to get a luxury car, so why not experience the luxury of world-class auto repair services at the same time? We are here to serve you. We have your best interests and safety in mind. Schedule an appointment so our expert auto technicians can work on your Infiniti. Call us today or drop by. Antero Automotive & Truck Services is located at 6615 S. Dayton Street, Greenwood Village, CO, 80111.